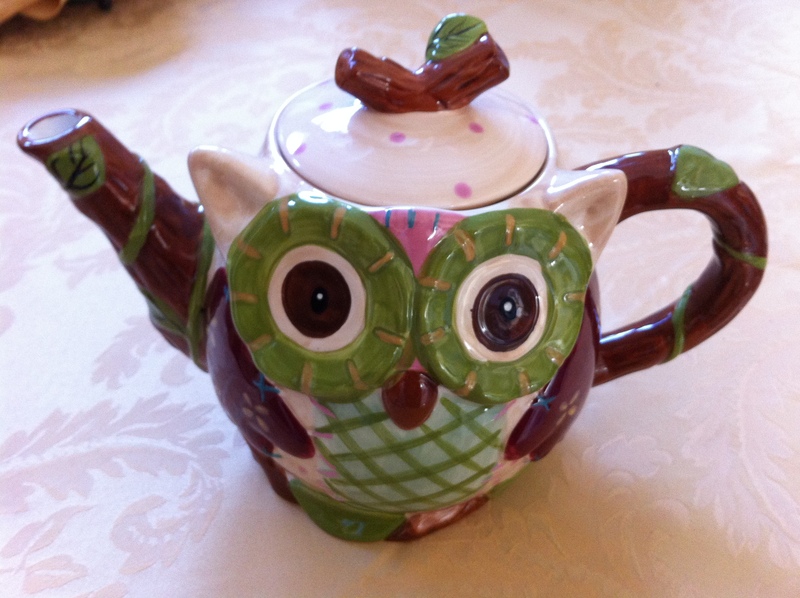 Hooty Who is coming to tea? I got the gingerbread man cookie jar from my mom this Christmas. He is so cute! The cookie jar on the right was my nana’s. 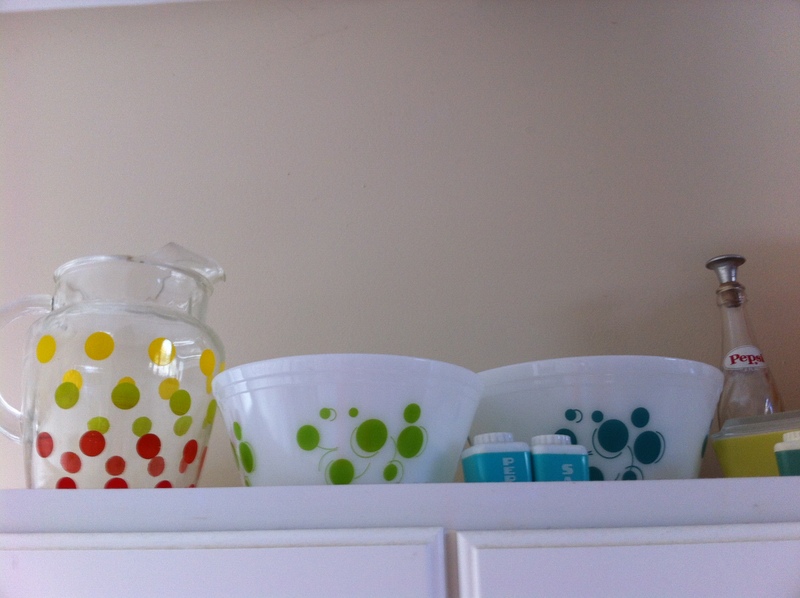 I also collect retro Pyrex refrigerator dishes as well. I love to collect eye-catching pitchers as well as Pyrex mixing bowl sets. I have seen this particular pattern on Rachel Ray’s show. Anything to do with baking is a collector’s item for me as well. 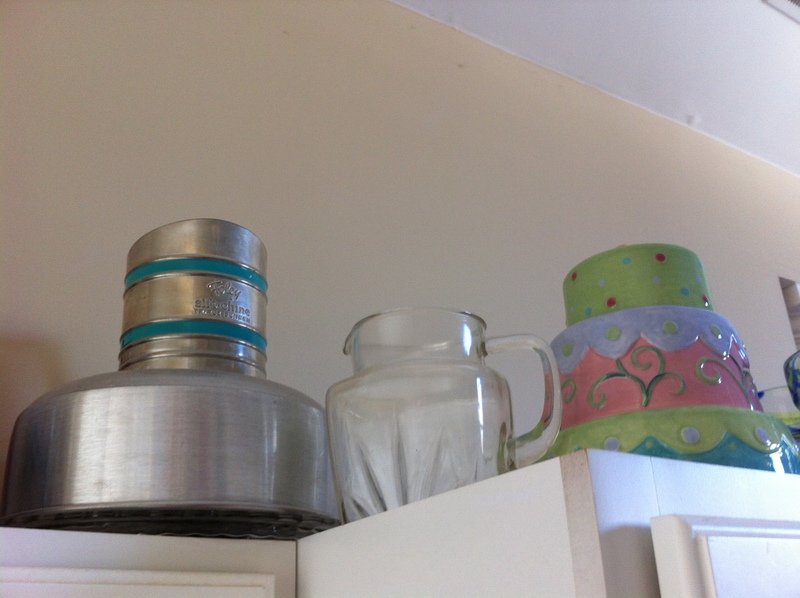 I have an old fashioned cake sifter and a cake plate. 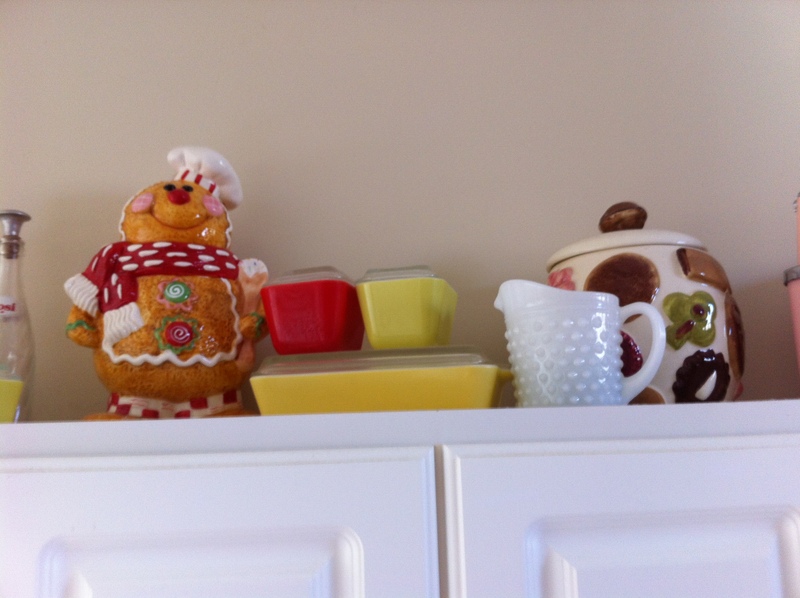 I got the cake cookie jar on the right from my mom for my birthday last year. What kind of collections do you have?